We worked over a very short period of time, two to three three-hour sessions depending on the availability of the performers. 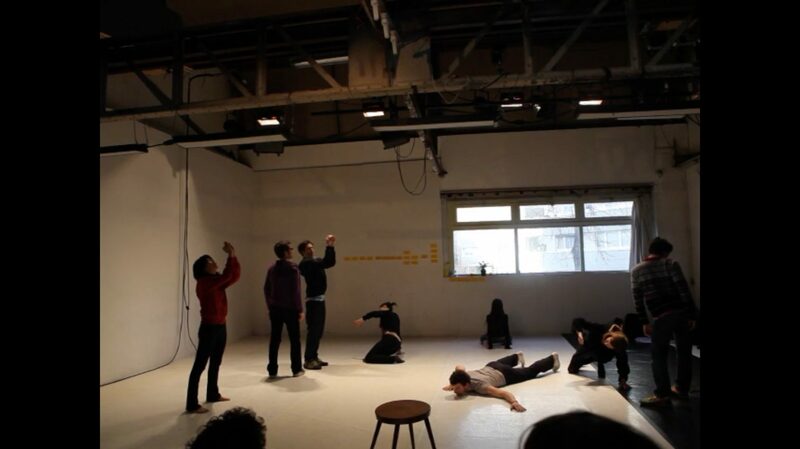 Most of them had already collaborated on other performances, so we continued to explore new materials: or how, by being aware of the framework proposed to the public, to produce movements, gestures and actions that manage to escape a logic of pure production. How to show what would precede decision-making. Be aware of the signs sent to the spectators to keep them in constant attention. Following this performance, I decided to join the production of reproducible pieces (shows), in order to be able to work more upstream of the opening to the public. With Lorenzo De Angelis, Clémentine Baert, Laurie Bellanca, Elie Hay, Tz-Jiun Liou, Ikué Nakagawa, Félix Ott.